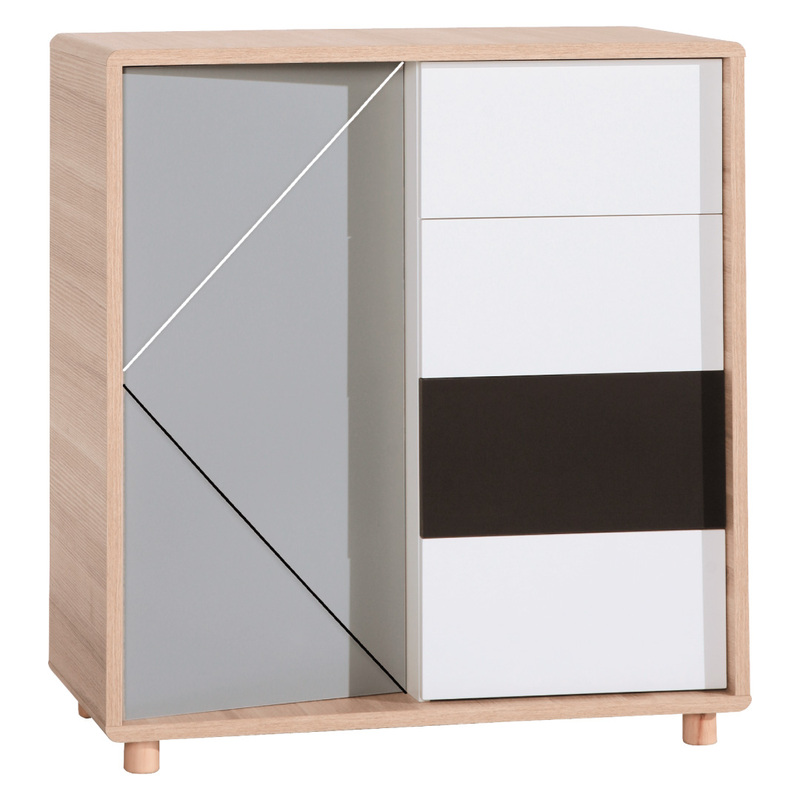 The Evolve Chest of Drawers by Vox is a spacious and functional dresser that perfectly complements the other furniture from the unique Evolve range. The chest of drawers has four easy-slide drawers, one with a black front and the others white. 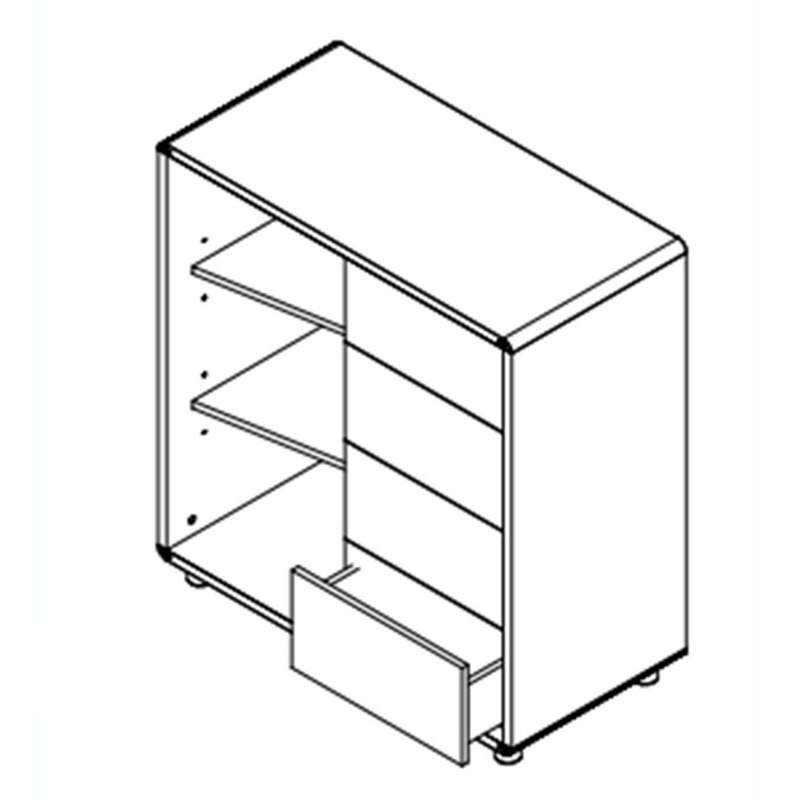 The left cabinet with a light grey front opens to three spacious shelves. The combination of white, grey and black with a natural wood shell creates a unique look that will enhance any contemporary room. 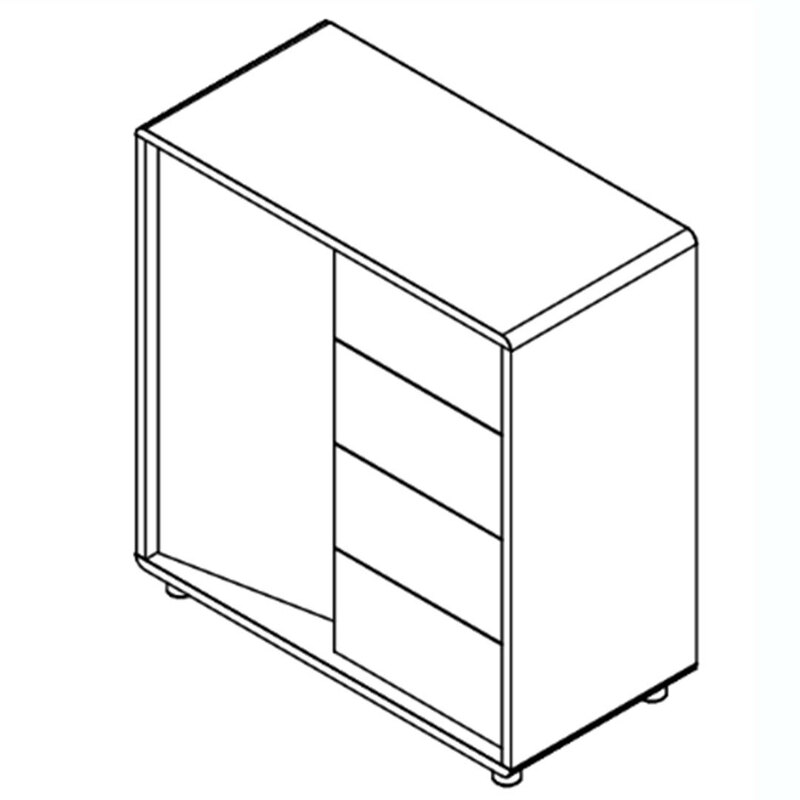 The dresser is lifted slightly off the ground with sturdy wooden feet, enabling easy cleaning underneath. 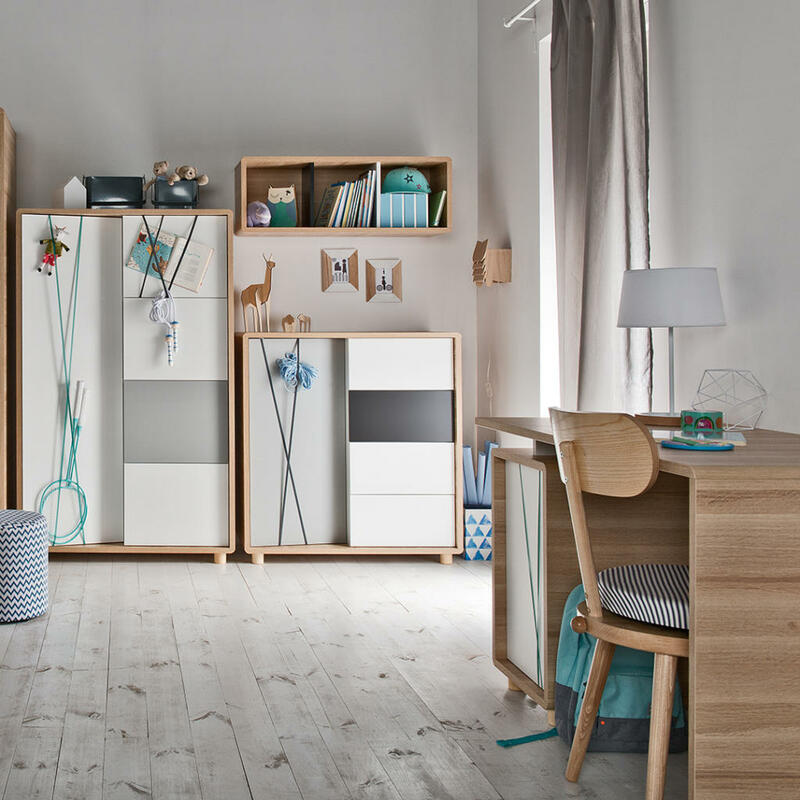 Another clever feature of this chest of drawers is the left door's elastic strips, which is ideal for teenagers to display their favourite photos, reminders, awards and other treasures!